North Amityville is a hamlet and census-designated place located in Suffolk County, Long Island, New York. It has a total of 2.4 square miles of all land. As of the 2000 census, there were 17,862 people, 5,407 households and 4,125 families residing in the CDP. The median income for a household in the CDP was $60,653 and the median income for a family was $71,680. Males had a median income of $42,006 and $35,909 for females. North Amityville ZIP Code is 11701. Area Code is 631. The latitude of North Amityville is 40.697N. The longitude is -73.425W. It is in the Eastern Standard time zone. Elevation is 33 feet. 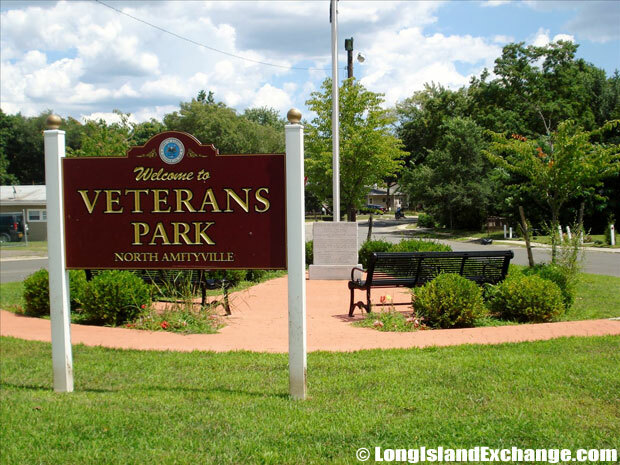 A sign welcomes visitors and residents to Veterans Park in North Amityville. The Pavilion at Amityville, rental homes in the Village. The neighborhood is known as home of many employees of wealthy estates. It was among of the few early suburbs to welcome African American home-buyers. It all started after World War II, when a buyer named Irwin Quintyne tried to search for a new home and turned out that North Amityville was the only community he knew that would welcome his family. In 1993, Andrew Wiese, a political scientist contended in a paper on racial separatism on Long Island presented at a Hofstra University conference telling that African American suburbs like North Amityville grew out of historic black enclaves in unincorporated areas that were out of reach of municipal restrictions designed to exclude African American. In North Amityville’s case, the hamlet was excluded when the village of Amityville became incorporated in 1894. 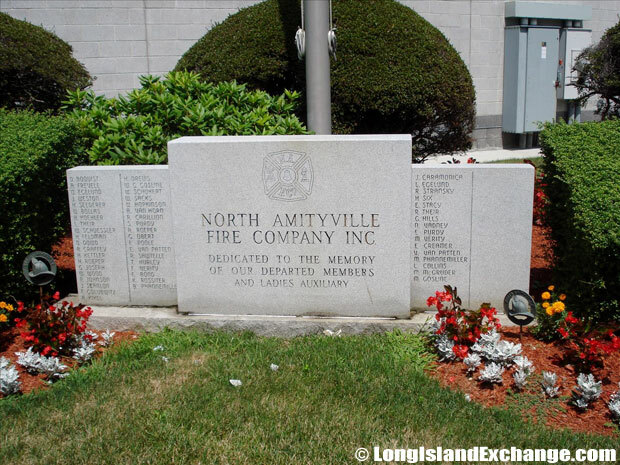 A monument dedicated to the memory of department members of the North Amityville Fire Company Inc outside the Fire Department under the flag pole. 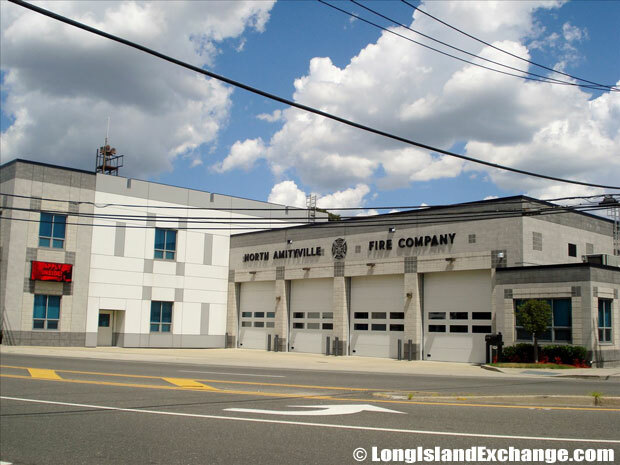 The North Amityville Fire Department. The racial-makeup of North Amityville comprises of 1.65% White, 98.35% African American, 0.00% Native American, 0.00% Asian, 0.00% Pacific Islander, 0.00% from other races, and 0.00% from two or more races. Most of its resident’s ancestries were Black or African American, West Indian, Jamaican, Central American, Salvadoran, Puerto Rican, and Subsaharan African. Northeast Elementary School North Amityville. 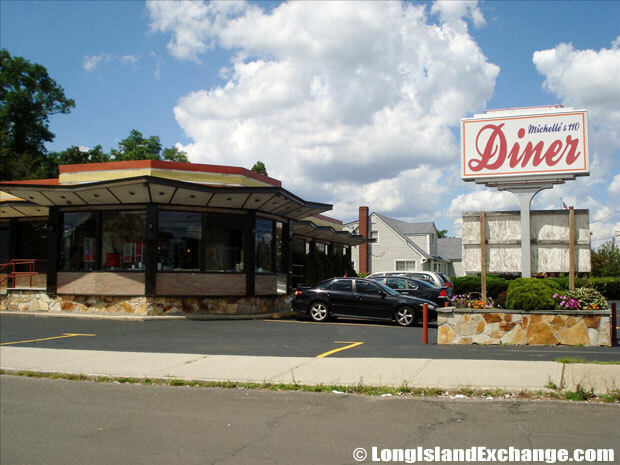 Michelle’s 110 Diner, 756 Broadway, Amityville. 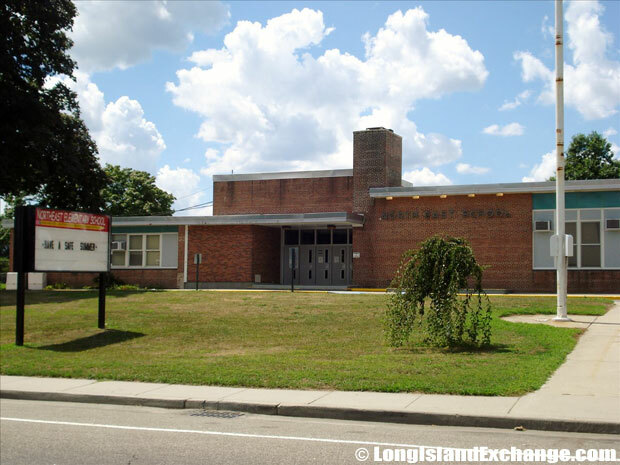 North Amityville is served by the Amityville Union Free School District which has a total of three elementary schools and a junior high and a senior high school. The district has an approximately 229 teachers and about 60 percent of their students are members of minority groups. 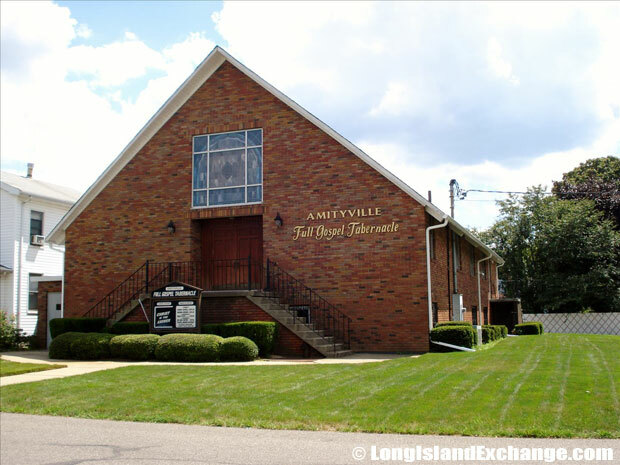 The Amityville Public Library had an operating budget of $340,624 for fiscal 1983-84. The library has 89,000 titles and 92,000 volumes of books. 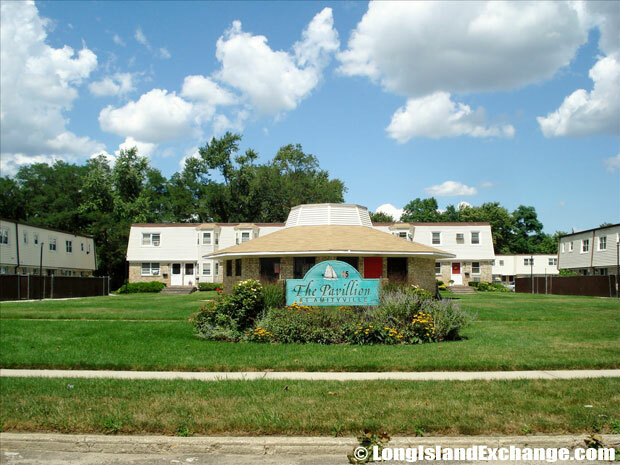 Most of the housing units in North Amityville are occupied by their owners. The average age of the housing in the community is relatively low. 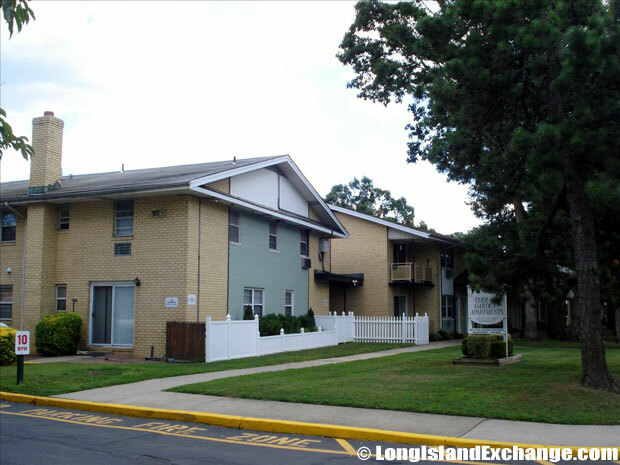 If the number of studio apartments and one-bedroom apartments is any indication, then North Amityville is a famous and practical place to live on one’s own.